Today we will learn about diffusion bonding principle, working, application, advantages and disadvantages. 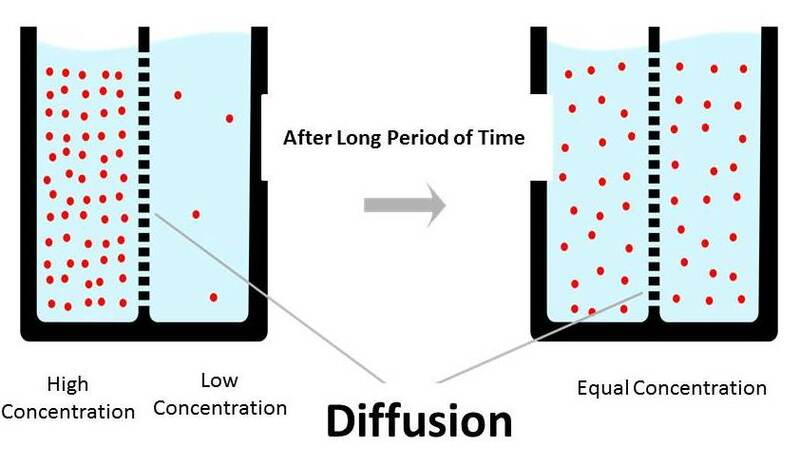 Diffusion bonding is a solid state welding process in which, no liquid or fusion phase involves and the weld joint is form in pure solid state. It does not melt the welding material and mostly a little plastic deformation takes place at interface surface and weld is form due to inter-molecular diffusion. This bonding process conducted in vacuum or in inert environment to reduce oxidation. This is widely used to join refectory materials in aerospace and nuclear industries. This type of welding can be used to weld both similar and dissimilar materials with the help of high pressure and temperature. This process works on basic principle of diffusion. Diffusion means movement of molecules or atoms from high concentration region to low concentration region. This is fundamental principle of diffusion welding. In this welding process both the welding plates are placed one over other in high pressure and temperature for a long period of time. This high pressure force starts diffusion between interface surfaces. This diffusion can be accelerated by the application of high temperature. This temperature does not melt the welding plates. The temperature range is about 50-60% of melting temperature. This whole process takes place in vacuum or in inert environment which protects the welding plates form oxidation. The working of diffusion bonding can be summarized as follow. First both the welding plate surfaces prepared for welding. In this process, both the interface surfaces made equally flat which is basic requirement of diffusion process. The interface surfaces should be machined, cleaned and polished well which remove all chemical contaminants from the surface. Any contaminant particle can be reduced diffusion between welding plates. Now both the plates are clamped and placed one over another. This assembly placed into a vacuum chamber or in a inert environment. This protects the welding surface from oxidation. A high pressure and temperature applied on this assembly to start diffusion. The temperature applied by the furnace heating or electric resistance heating. The high pressure is applied by a hydraulic press, dead weight or by the differential gas pressure. This conditions are maintained for a long duration of time for proper diffusion. At the starting stage of this process, local deformation at the interface surface due to creep and yield take place. Now the diffusion takes place which form a interface boundary. After a long period of time, both the plates properly diffused into one another which makes a strong joint. The interface boundary disappear which form a clean joint. This joint has same properties or strength as the base material. 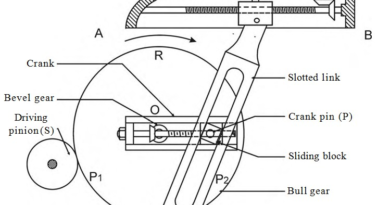 The joint have same mechanical and physical properties as parent material. This process produces clean joint which is free from interface discontinuity and porosity. Both similar and dissimilar material can be joint by diffusion bonding process. It provides good dimension tolerance. So it is used to make precision components. It is simple in working. It does not use filler material, flux etc. which are used in arc welding process. It can weld complex shapes. It is time consuming process. It takes more time compare to other welding process. Surface preparations of welding plates are more critical and difficult. Size of the weld is limited according to equipment available. This process is not suitable for mass production. Highly depend on welding parameters like surface finish, welding material, temperature, pressure etc. It is mostly used to weld refectory materials used in aerospace and nuclear industries. Diffusion bonding is used to weld titanium, zirconium and beryllium metals and its alloy. It can weld nickel alloy like Inconel, Wrought Udimet etc. It is used to weld dissimilar metals like Cu to Ti, Cu to Al etc. This is all about diffusion welding principle, working, application, advantages and disadvantages. If you have any query regarding this article, ask by commenting. If you like this article, don’t forget to share it on your social networks. Subscribe our website for more interesting articles. Thanks for reading it. Informative one! Keep it up the good work!